The abandoned circuit of Reims has been an inspiration for the design of a wooden toy race track. West of Reims (France) along the D17, 14 Grand Prix took place from 1926 untill 1966. The circuit closed in 1972, the buildings were abandoned and turned into ruins untill a few years ago, when a couple of enthousiasts started to restore the pitboxes and the grandstands. 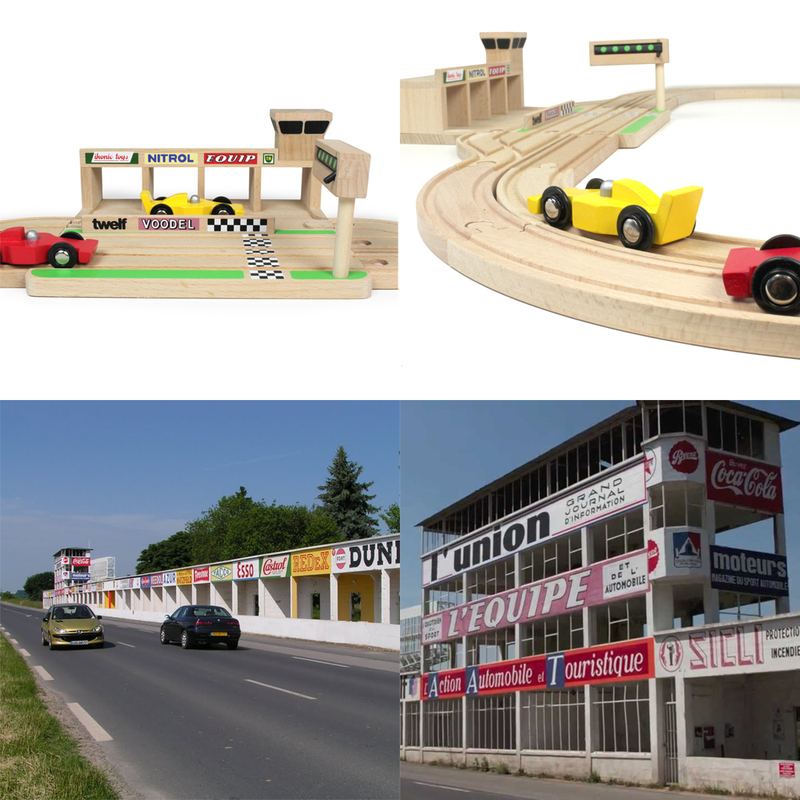 Toymaker Ikonic Toys used the circuit of Reims as an inspiration to design the wooden toy race track. The prints of the wooden toy race track are based on the old advertising billboards of the Reims circuit.